PROPS TO SNEAKERNEWS ON THE INFO !!! 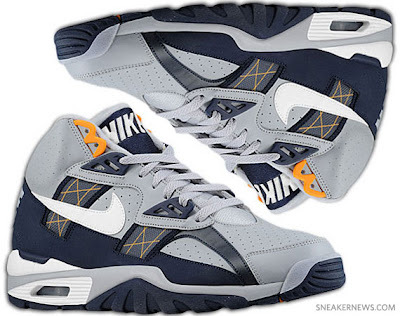 The original ‘Bo Jackson’ Air Trainer SC High is considered to be one of Nike’s best designs ever. It set the precedent for Nike Training and was rife with Nike’s brightest technology (like the tensile fibers on the upper that would be the precursor to Flywire used today). This IS THE new colorway of Grey, Obsidian, and Circuit Orange. 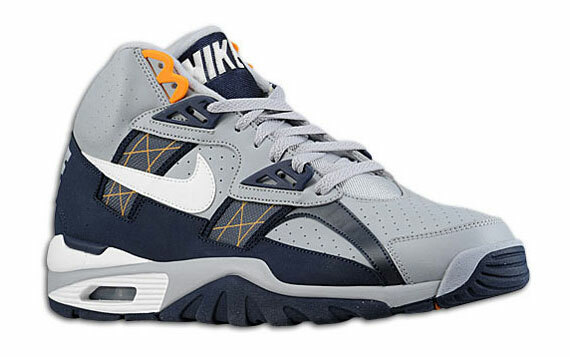 Eastbay just got these in right now so take another look below and don’t miss out on these if you’re a Nike Trainer nut. So what do ya think ladies & gents, HOT OR NOT ? ?